The TCS delegation headed by Deputy Secretary-General HAN Mei participated in the 43rd East Asia Business Council (EABC) Meeting in Chongqing, China on January 9-10, 2019. ASEAN+3 business representatives, the TCS, and ASEAN-China/Japan/Korea Centers were invited to discuss strengthening further cooperation in ASEAN+3 economic and business sectors. The TCS conducted the best practice compilation project on the improvement of Supply Chain Connectivity (SCC) in ASEAN+3 in collaboration with the EABC in 2018 and distributed the final publication ‘Improving Supply Chain Connectivity in ASEAN+3 – Learning from Best Practices’ in this Meeting. In her speech at the Meeting, DSG HAN appreciated for EABC’s support for the publication project and emphasized that ASEAN+3 region recognizes the importance of cooperation in logistics and distribution to continue to develop supply chain-related infrastructure by introducing digital technology and to further standardize the supply chain ecosystem in more efficient way. DSG HAN expressed that the TCS is ready to discuss and explore further cooperation for the development of ASEAN+3 process with the EABC in near future. DSG HAN also had a meeting with Deputy Director-General of the China Council for the Promotion of International Trade (CCPIT) XU Liang and Vice President of CC International Consulting Limited XIE Chengning on further support for EABC’s activities such as the compilation of the East Asia customs procedures which is targeted to be finalized in 2019. 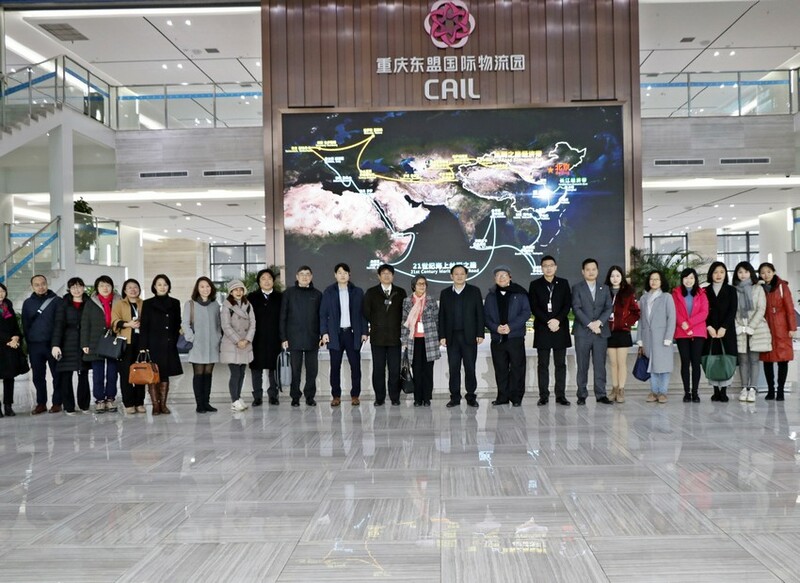 After the Meeting, all participants visited Chongqing-ASEAN Logistics Park and Zongshen Industrial Park. The EABC was inaugurated in 2004 in Kuala Lumpur, endorsed by ASEAN+3 leaders in October, 2003. Its objective is to strengthen cooperation among ASEAN+3 private sectors as well as promote intra-regional trade and investment. Based on the ‘Manila Declaration on the 20th Anniversary of ASEAN+3 Cooperation’ and ‘ASEAN+3 Cooperation Work Plan 2018-2022’ of the 20th ASEAN+3 Summit, the TCS promotes trade and investment through collaboration with the EABC with a view to promoting deeper regional integration and further enhancing the work and initiatives of ASEAN+3 cooperation.